EHS has developed electrical safety guidelines which are designed to prevent employees and students from exposure to hazardous, electrical energies. Details of these guidelines, along with additional information, can be found in the Electrical Safety Manual. Exposure to an arc flash can result in a shock, severe burn and death. A variety of sources were used in development of these guidelines including OSHA, and primarily the NFPA 70-E standard. Working on de-energized equipment is the preferred work practice. However, this is not always possible. Training is a major aspect of electrical safety. Coupled with improved safety equipment and procedures the end result is improved safety and the development of Qualified Electrical Workers. Through a combination of experience and training an individual may be considered a qualified electrical worker. A qualified worker must be able to demonstrate knowledge of a proficiency in the following. Only a Qualified Electrical Worker is allowed near energized electrical parts. 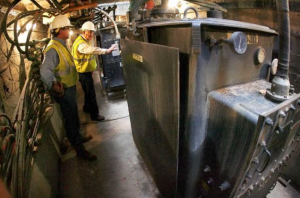 A comprehensive Lockout/Tagout procedure is vital to any electrical safety program. The guidelines cover in depth all the aspects of the lockout/tagout program. Lockout devices are employee specific and can only be removed by the individual who put it in place. An energized electrical work permit is required for all work on voltages of 240 and higher. The purpose of this permit is to make sure that all appropriate safety precautions are taken prior to energized electrical work. Permits are originated by a qualified electrical worker. 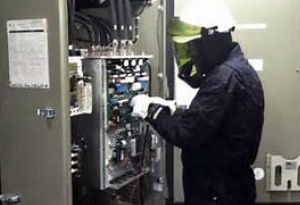 Arc flash clothing and protective equipment is required when working with energized electrical equipment. Clothing ranges from untreated cotton up to flash resistant pants with shirt. The type of clothing and equipment required is based upon the amount of potential energy released in the event of an arc flash. For more information regarding electrical safety, contact Christy Herron.